Looking for the best warm weather extended size hiking clothes? Frustrated by the lack of options in plus size active wear for women? This page may be the answer! 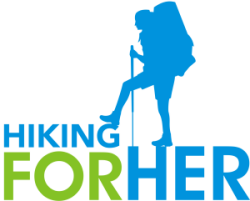 Hiking For Her is an REI affiliate, which means you don't pay extra when purchasing REI clothing and gear through the links here. However, Hiking For Her will receive a small percentage of your purchase price, which is used to continue sharing trustworthy (and totally free) hiking tips with everyone here on this website. REI has great selections, generous return policies, and is really paying attention to what women hikers need to feel comfortable on the trail. 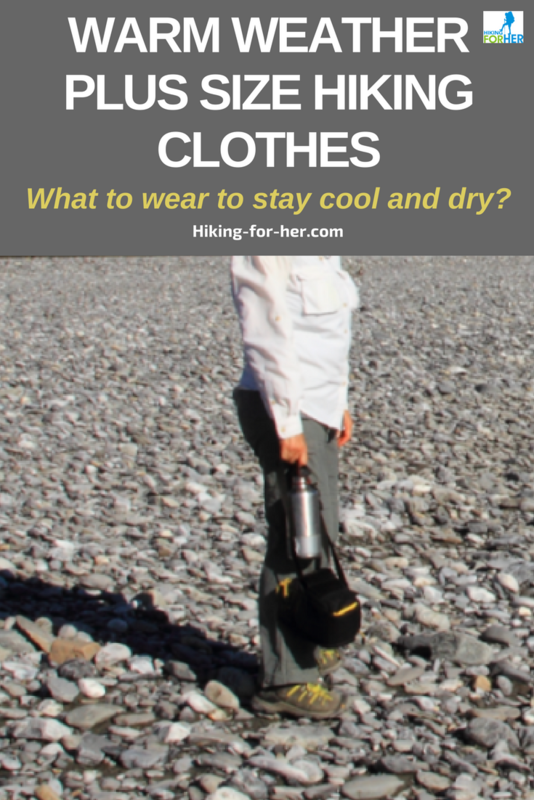 Your choice of sports bra and shirt(s) need to stand up to the rigors of the trail, and these are the best warm weather extended size hiking clothes REI has to offer. A sleeveless shirt with a scoop neck and wider straps, like this Columbia Wander More sleeveless top, can leave your arms unencumbered for climbing over tree branches. This shirt has two secret weapons for keeping you cool and protected. Its Omni Wick fabric will direct sweat away from your torso. The Omni Shade fibers protect you from UV exposure. Trail tip: Bring a clean, dry shirt and don it at your turn around point for extra comfort. You can roll up the sleeves to respond to temperature fluctuations. You can wear it unbuttoned, layered over the sleeveless top above. The polyester/nylon blend stands up to being balled up inside your backpack, so it looks good enough to wear to town for dinner after your hike. Use this as a winter mid layer, pulling on a vest and warm jacket over it. With warm weather comes chafed, sweaty skin and overexposure to UV rays. in fabrics that move with you and mop up sweat without turning you into your own sauna. For an even less structured pair of shorts, these Nike Flex Triumph are worth a look for their Dri-Fit fabric and good leg mobility. If you're looking for a pair of convertible pants, with zip off and on legs to give you multiple options along the trail, these REI Co-op Sahara pants might do the trick. The color coded zippers make converting back to pants much easier! The gusseted crotch on these pants give you some "give" when you need to scramble over a downed tree on the trail. Stretchy nylon gives you breathability, fast drying, water repellency, and stain resistance. UPF 50+, too. The snap closure above the zip fly plus integrated waist belt (which you can remove if you want) customize the fit. Well designed choices in high performance fabrics for keeping yourself as cool as possible while working up a sweat on your favorite warm weather hiking trail. Any of these options for the best warm weather extended size hiking clothes are backed by REI Co-op's generous policies. And if you're an REI member, don't forget that every purchase you make during the year comes back to you in your yearly dividend! Need more ideas for plus size hiking clothes? Here they are!